Il weekend è passato e ho già ripreso la solita routine...ecco qualche altra foto dei giorni passati ! The weekend went by and I am already running the usual routine...so here it is some other pic taken in the past few days ! grazie per il commento! 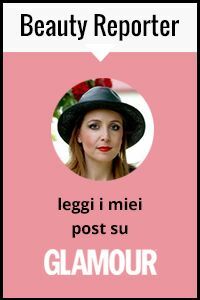 !carinissimo il blog! !ti seguo subito ricambi?? You look so beautiful! Great photos!! certo dopo il weekend è sempre duro riprendere la routine . Grazie della tua visita, come vedi ho ricambiato subito! Seguimi se ti va, Letizia! Love the first outfit! Especially the stripes and the belt! ¡Bellissima tu e le fotografie! great outfits love the first one! thanks for the comment and make sure to come during the summer that way you don't have to deal with the rain of spring! CIAO! Ho appena letto il tuo commento sulla mia pagina , grazie mille! Possiamo seguirci a vicenda se vuoi,fammi sapere! scommetto che il tuo armadio è pieno di vestiti stupendi a giudicare da queste foto! yes its a good month be prepared for heat, it is usually the hottest in july so you'll get to spend time at the beach! I love your outfit in the 1st 2 pictures, you look great. And I love your Ash shoes, something different. I like all your outfits and the sweet design of your blog! Thank you for your nice comment, I´m following now. Adoro l'ultima maglietta che indossi! I love this stripes/jeans outfit on the beginning, beautiful!! adorable. love the way you wear your scarves! great blog, you look beautiful!! !